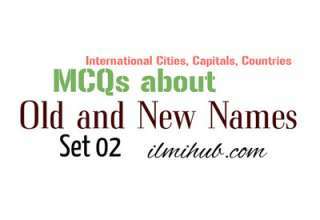 Here are Some Solved MCQs about NAM (Non-Aligned Movement). General Knowledge and MCQs about Non Aligned Movement could be prepared for the job test or entry test. These all questions are answered and the answer could be seen by pressing the blue button under each question. You can press this button again to hide it. 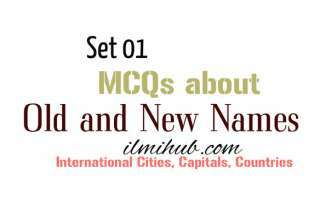 You may also Like Solved MCQs about World Bank. 1. What was not the Principle adopted at the Bunding Conference and accepted at the first NAM Summit Meeting? 3. Pakistan joined the NAM in? 4. 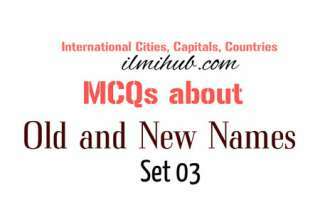 Which of the following countries is not the founder member of NAM? 7. Who was the first Secretary General of NAM? 9. Which of the following is true about NAM? 11. Currently, NAM has _______________ members and 17 observer countries. 12. Who is the current Chairperson of NAM? 13. 16th Summit of the Non-Aligned Movement was held in ____________ on 26-31 August 2012 in which U.N. Secretary-General Ban Ki-moon also participated. 14. The 17th NAM Summit was held on 13-16th September 2016 in ________________? This Quiz about NAM is prepared very carefully as on 16.02.2018. If there is an update regarding these questions or you find any mistake please contact us or mention in the comment. Updated! Thank you for your concern!